Homeowners who choose Marshall Building and Remodeling as their roofing, siding, and window contractor tend to return to us project after project because of their great experiences with our company. Take Bethany Ingram, for example. She hired Marshall in 2001, when her Bristol home needed a new roof. 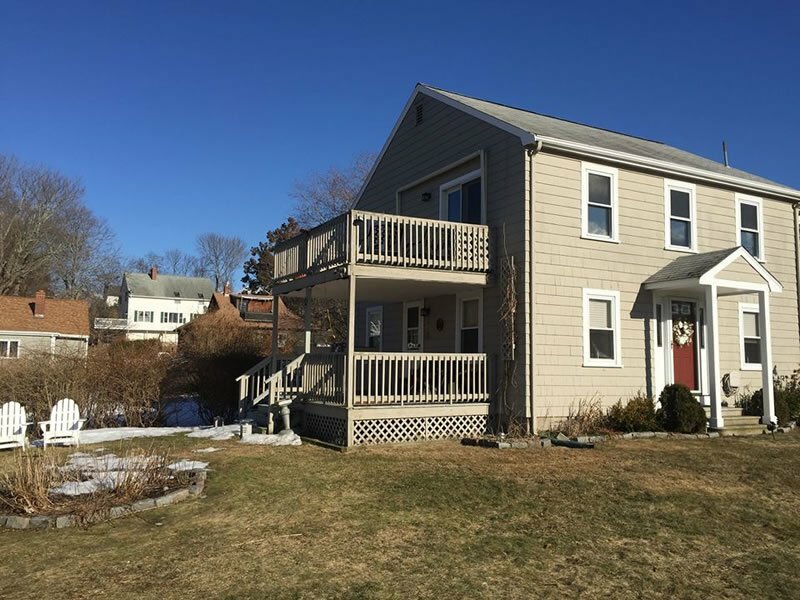 Fourteen years later, when she needed additional renovations, including new siding, windows and decks, she called us again, remembering her positive experience many years prior. Originally, Ms. Ingram had worked with our founder, Tom Marshall, but this time around her free quote and consultation came from Tom’s son, Andy Marshall, who’s leading our company’s second generation. “I initially met with Andy to discuss my ideas and needs. He was very professional, but without the pressure to do more than I had planned,” she said. 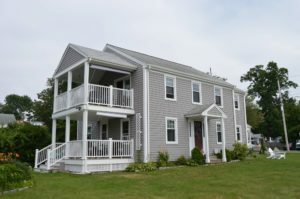 He answered all of her questions, reviewed her siding, window and deck options, and offered design suggestions to help Ms. Ingram make the best choice possible for her home and budget. Feeling confident and comfortable with our portfolio, history, reputation, and price, she chose us as her contractor a second time around. Beyond her appreciation for their workmanship and talent, Ms. Ingram truly enjoyed the crew’s presence. “I felt like my family had grown by three. I felt so comfortable with them that I would leave the house open should they need a bathroom break, refreshment or snack. My neighbors even enjoyed having them around and felt a loss when they completed the work,” she said. Everyone who has seen the completed job remarks on how beautiful the home looks, as well as the high quality, attention to detail and neatness of the work. Although Ms. Ingram was sad to see our crew go when the siding, window, and deck renovation was complete, she was absolutely thrilled with the final outcome, which has gotten a lot of attention from neighbors and passersby. “Everyone who has seen the completed job remarks on how beautiful the home looks, as well as the high quality, attention to detail and neatness of the work. I live on the East Bay bike path and at least daily someone would stop to take a picture, ask the crew about the job or snap a picture of the job sign for future reference,” raved Ms. Ingram. “Over the weekend, I had two couples stop in that had had estimates done and asked my opinion of the company and I gave Marshalls honest excellent reviews which they said have swayed them to call and arrange to have the work scheduled,” she added. Were she to do it all over again, Ms. Ingram wouldn’t change a thing. “I cannot stress enough how happy I am with the completed job and in particular the great team I had during the work,” she said.